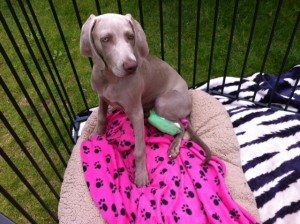 Rolf was a rescued puppy whose new owner soon realised that there was something very wrong with her puppy’s leg. X-rays showed that his leg was broken and his knee joint needed to be pinned. 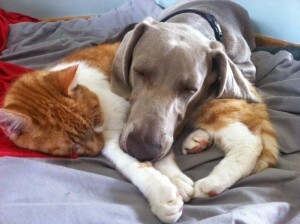 Rolf’s owner knew that the operation would be far too expensive for her to afford. Although she had insured the pup, her insurer would not cover the operation as he had already been suffering with the problem when she rescued him. Rolf’s owner contacted various charities in the hope of obtaining help with the costs of the operation but she was unsuccessful until she phoned Happy Breed Foundation who agreed to pay for Rolf’s operation. The operation went well and, with the wonderful care which Rolf’s owner gave the pup throughout his ordeal, he was soon well enough to run free probably for the very first time in his life.